D9016 entered service on 27th October 1961 in two-tone green and was allocated to Haymarket Depot in Edinburgh. By 1963 small yellow warning panels had been added. 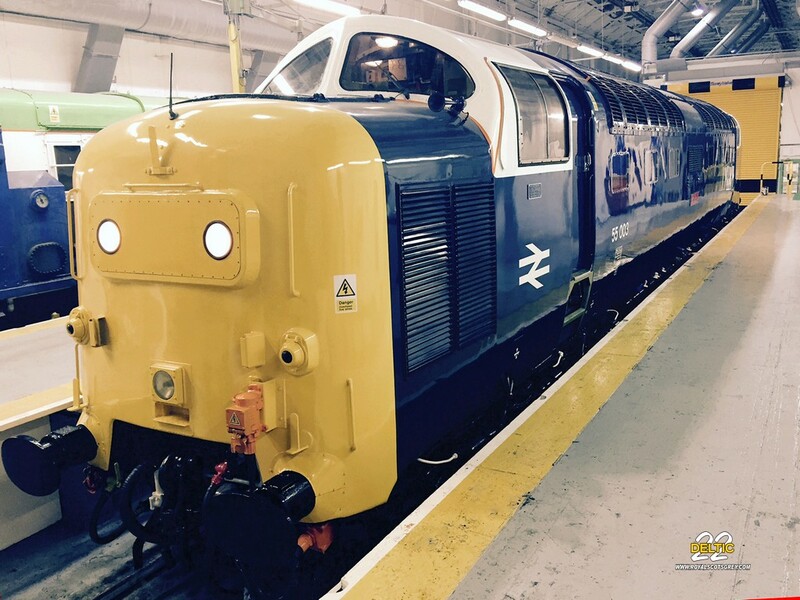 Like all the Deltics allocated to Haymarket, D9016 was named after a Scottish Regiment. The ceremony took place in Aberdeen on 28th July 1964. During 1967 D9016 entered Doncaster Works for repair and repainting into the corporate BR blue livery. A brief six-month transfer to Finsbury Park came about in 1967/68 while the fleet were fitted with dual brakes to allow the locos to work with air-braked stock. Once back in Scotland, it is thought that Gordon lost his ‘D’ prefix in October 1971 during an intermediate repair and fitting of Electric Train Heat (ETH) and the loco was known as 9016 until March 1974 when numbered 55016. In 1975/76 the loco received a Heavy General Repair – one of only five Deltics to do so as the cost proved to be prohibitive when weighed up against their likely length of service. During 1979 with class mates 55001 an 55020 already stopped and being heavily cannibalised to keep other members of the class running, the Haymarket and Gateshead based members of the fleet were reallocated to York. The new High Speed Train (125) was now firmly established on the East Coast Main Line and the first Deltics were withdrawn in January 1980 and the fleet reduced from 22 to 16 locomotives by May 1981. Although not chosen as one of the four locomotives selected to run farewell railtours, 55016 continued in service until failing just before Christmas and was withdrawn on 30th December 1981. Gordon Highlander was purchased by the Deltic 9000 Fund late in 1983, with the intention that it would be restored to running condition, whilst acting as a source of spares for D9000. It was moved to Wansford, on the Nene Valley Railway to join Royal Scots Grey, where it was restored to operational condition. Eventually, like D9000, the locomotive left the railway for the Network South East depots at Selhurst and Old Oak Common. 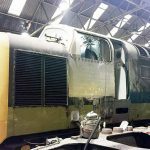 After D9000 had been operating on the main line for three years the decision was made to overhaul and recertify D9016, to provide cover for Royal Scots Grey, and the locomotive was moved to Brush Traction at Loughborough. Following overhaul it spent a short period on the main line, on charter work, its operation sponsored by Porterbrook Leasing, in recognition of which it was painted in their purple and grey house colours, based upon the original two-tone green style. It lasted in this livery until 2002, when the original two-tone green livery was reapplied. Following the demise of Deltic 9000 Locomotives Limited the locomotive was purchased and based at the Peak Rail (Heritage Railway), near Bakewell, Derbyshire. In July 2008, this locomotive was sold by the private owner to HNRC, as a business venture. In spite of previous announcements to the contrary, HNRC put the locomotive up for sale at the end of September 2008. 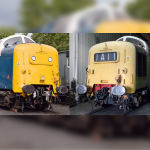 Bids from the Gordon Highlander Preservation Group and Beaver Sports (Yorks) Ltd. (the owners of 55 022) were rejected by HNRC in favour of a higher offer from Direct Rail Services (DRS) Ltd. Direct Rail Services (DRS) Ltd kept D9016 at Barrow Hill for a year with the intention of a full overhaul but these plans never surfaced. The locomotive was sold one year later to Beaver Sports (Yorks) Ltd. and it was based at East Lancashire Railway with 55 022. The aim is to return D9016 to mainline condition once again. D9016 donated one of its two engines to 55 022 in April 2010 to replace one of 55 022’s engines, a former marine example that had been temporarily fitted to 55 022 following an earlier engine failure. During 2014 D9016 left the East Lancashire Railway for the Great Central Railway. D9016 (55 016) “Gordon Highlander” was purchased by the Deltic 9000 Fund, with the intention that it would be restored to running condition, whilst acting as a mobile source of spares. For a short period between the late 1990s and the early 2000s, the locomotive went on hire to Porterbrook Leasing, who painted it into their corporate purple livery. It lasted in this livery until 2002, when it was re-painted in its original two-tone green livery. Porterbrook found various uses for it on the mainline. As of November, 2007 the locomotive was based at the Peak Rail near Bakewell where it could sometimes be seen hauling trains. In July 2008, this locomotive was sold by a private individual to the Harry Needle Railroad Company for spot hire as a business venture. In spite of previous announcements to the contrary, HNRC put the D9016 up for sale at the end of September, 2008. 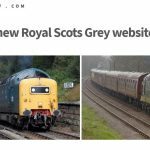 Bids from the Gordon Highlander Preservation Group and Martin Walker (the owner of 55 022) were rejected by HNRC in favour of a higher offer from Direct Rail Services (DRS) Ltd. Direct Rail Services (DRS) Ltd kept D9016 (55 016) at Barrow Hill for a year with intention of a full overhaul but these plans never surfaced. The locomotive was sold one year later to Martin Walker and his team and is now based at East Lancashire Railway with 55022. His aim is to return D9016 to mainline condition once again. 55 016 donated one of its two engines to 55 022 in April, 2010 as one of 55 022′s engines was not one of the original Napier-Deltic engines fitted in 1959. The locomotive arrived on the GCR on 20th March, 2014 and moved to Boden Rail at Washwood Heath in early 2015 for bodywork repairs.